Recent additions on other pages - village Spring Newsletter and events through to the end of May. Church services for April. Write-up of the History Society meetings in January. Draft minutes of the 9th January and 20th February Parish Council meetings. Gardeners' Association meetings for 2019. Appointment of new Rector. DACT Bus Service Options - the Parish Council is considering options for restoring this service following its cessation last July when Northants CC cut the subsidy. They need parishioners' feedback before 30th April to enable a decision on how to proceed. Please read here for more detail. Quiz night - Friday 10th May at 7.30 pm in the village hall - admission £10 each - see here for full details. Theft from vehicles - on the night of 5th/6th April, two cars parked in Main Street had their windows smashed and items from inside were stolen - police are asking for information. This follows a report of someone seen checking for unlocked cars in Langton Rise at 1.00 am on 2nd April and the attempted theft of a village seat. Be aware. A5 work - various jobs are being done on the A5 in coming weeks which may involve temporary closure - see here for the latest information (updated 9th April). Sheep killed - on 28th February a village farmer had five sheep killed and butchered in a local field. As well as the financial loss, this is a very distressing thing to happen. The police are aware and have asked the public to keep an eye open for any suspicious behaviour and report it, however trivial it may seem, by ringing 101. Garden bonfires - can easily cause a nuisance to neighbours in the village. Please bin or compost as much waste as you're able before considering a fire but if this is essential, ensure the material is as dry as possible and choose a day when the wind direction will minimise the nuisance to neighbours and road users. Village Hall - is available for hire for meetings or social occasions where you might need a little more space. It has seating for just over 40 people and has one main room, toilets and a small kitchen. It is used by the Pre-School in term time, and by the Parish Council and other village organisations for meetings and social events. Current charges are £8 per hour. If you're interested in hiring the hall, contact the Booking Clerk Mary Kane on 07922 478633 (email) or Nick Busby on 01327 844194 (email). The full standard conditions of hire can be seen here and you can read the history of the hall here. New dog control powers - DDC have introduced new stricter rules for dog owners in the district with potential on-the-spot fines and/or prosecution - read the press release here and the relevant DDC website here. Whilton Marina - has opened a new workshop and bought a new mobile boat lifting hoist which enables much better facilities for narrow boat repair. If you're interested, you can read the press release here. Weekly yoga (Ashtanga) sessions - take place every Monday evening from 6.00 to 7.00 pm in the village hall with a qualified instructor. There are places available if anyone is interested. The instructor’s fees are £7.50 per session plus £1 per session for hiring the hall. Any new persons will get a free taster session first time. If you’re interested please contact Jane Busby on either 01327 844194 or 07974 800196. DACT trips - please see here for the trips timetable from January to April and here for May to August. Recycling and waste - our collection day is Wednesday - check here for the timetable. For a general explanation of the new arrangements click here. To discover what goes in which bin click here and for information regarding the optional garden waste collection at £35 per annum per bin, read and/or sign up here. The Northamptonshire Association for the Blind - mobile sight centre should be visiting Daventry (near Shopmobility) soon - no dates at present. They have an extensive array of gadgets etc to make life easier for people with poor eyesight. To see their website, click here. 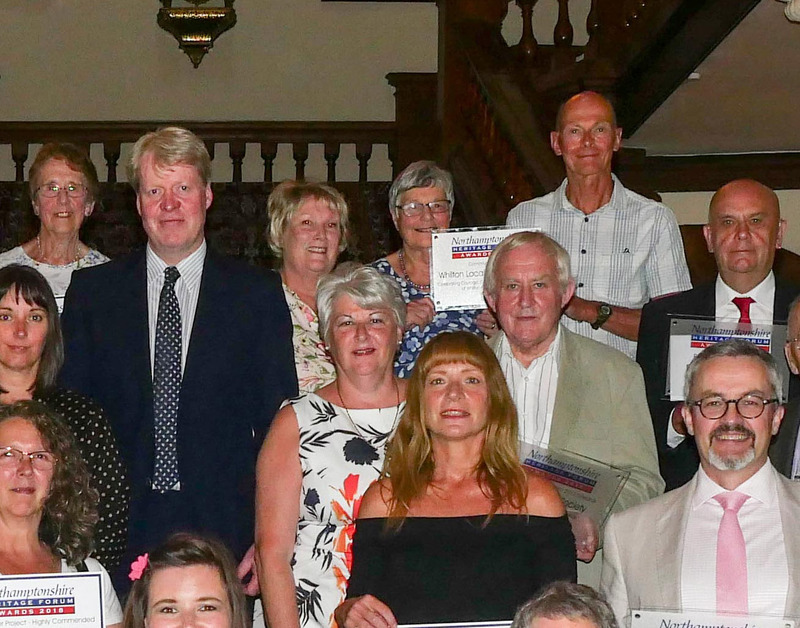 Daventry & District Over Fifties Forum - regularly hold meetings to interest people with more free time on their hands; their website, including the latest newsletter, can be found here. The group meets on alternate Thursdays each month and provides an excellent opportunity to learn more about photography. For more information, contact Neil on 844182 (email) or look at their excellent website here. Dementia Cafes - Northamptonshire County Council has had to make budget cuts including the Alzheimer's Society which has stopped all the Dementia Cafes in Northamptonshire. Daventry District realise the importance of these cafes for sufferers/carers and have decided to start their own. Forthcoming meeting dates can be found here. Faster Broadband - You can test your actual speed here and although we already have fibre broadband to the cabinet at Whilton Locks, the village now forms part of the County Council’s Stage 3 plans with Gigaclear whose solution involves Fibre-to-the-premise (FTTP) technology which enables much faster speeds and is now scheduled for installation in second half of this year. Read the official details here. The Northants CC Faster Broadband interactive map can be accessed here. The latest update on future developments can be found on page 3 of the village Spring Newsletter. Parking at Long Buckby station - parking charges apply at the railway station. The cost is £4.80 per day. (as at early March 2019) - details here. Waste and recycling centre opening times - See here for full information. Some sites have queuing issues on certain days and more especially following a closure day. Customers are asked to visit the sites after 10.00 am and preferably later in the day when the sites are likely to have more capacity. See here for more information and here for live webcam coverage. Bus Service - ended on 22nd July 2018 when the Northants County Council subsidy was withdrawn. Daventry District Council - have grant funding available for both Home Owners and Renters alike (see here). There are Disabled Facilities Grants (DFG) available up to £30k for the district's disabled residents, both renters and home owners and up to £10k for the district’s home owners in the form of a Home Repairs Assistance grant (HRA). Whilton Warblers - performed a concert in the Church some time ago and photos of the singers rehearsing can be found here. If you fancy joining the group which meets during term time on Tuesdays at 7.30 pm in the Church, ring Linda on 07752 885900. You don't need to read music or to have had singing lessons, you can be any age and the idea is just to have fun. 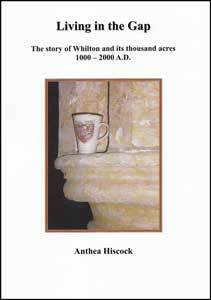 The history of Whilton - "Living in the Gap" a book covering the history of Whilton village from 1,000 to 2,000 AD is now available. If you would like to buy a copy (281 pages £12.99) then please contact the author, our local history expert, Anthea Hiscock, on 01327 843319 or by email. See here for an independent review of the book by local resident Tom Price. Right to Roam - some people seem to consider all the fields around Whilton to be totally free to public access because of the government's legislation regarding 'the right to roam.' This is not the case - the Act refers only to mapped areas of mountain, moor, heath, downland and registered common land - none of these apply around Whilton and you should stay on the public footpaths. See here for more details of the Act. The Whilton Bake Off - was held in August 2013 and was very successful. There were lots of entries and £185 was raised for the Air Ambulance Service. For Lucy's full write-up of the occasion, click here. To see Richard Oliver's photos, see here. Mobile Library - because of low levels of use, the mobile library no longer comes to Whilton. However, the Home Library Service does still exist. This is a free service for customers who are unable to get to the library through age or disability. A librarian visits you at home to discuss your reading needs. You can either select items yourself or library staff will select for you according to your tastes and requirements. Volunteers deliver to your home every month. To arrange a visit or find out more, contact your local library.